The first expansion for the upcoming Battlefield 3 will featrure four of the most popular multiplayer maps in Battlefield history, reimagined in a collection that will be free with preorders. I know, I know. Battlefield 3 isn't even out yet - it doesn't even have a hard release date yet - and here we are talking about expansions. It may not make a lot of sense but it is what it is, and what it really is, when you get right down to it, is a preorder bonus. 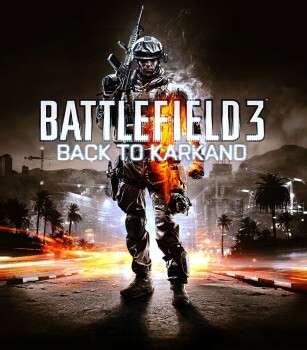 Battlefield 3: Back to Karkand will feature the "Strike at Karkand," "Wake Island," "Gulf of Oman" and "Sharqi Peninsula" maps, each remastered for play with the new game. They're the "most played and loved maps in the history of Battlefield," said Lead Designer Niklas Fegraeus. "Combined, these four maps have been played for an incredible 25,000 man years!" The maps will be physically similar to their Battlefield 2 predecessors but the Frostbite 2 engine at work in Battlefield 3 means old strategies won't necessarily be effective in the new game. "From a gameplay perspective, destruction is the biggest addition compared to the original map in Battlefield 2 back in 2005. I remember this particular building by the square in the original ['Strike at Karkand' map] where players could defend very effectively," Fegraeus continued. "Now, with the destructive power of Frostbite 2, someone can just RPG that building and expose the defenders within." The expansion will also include classic Battlefield 2 weapons and vehicles, new achievements and trophies, and more. More information about Back to Karkand is being revealed in a four-part "behind-the-scenes" series currently underway at the Battlefield Blog, but surprisingly, there's no indication yet what the expansion will cost for those who choose not to preorder. Battlefield 3 is expected to come out during the 2011 holiday season for the PC, Xbox 360 and PlayStation 3.